You are here: Home / Finance / Great New Way To Save On Your Electric Bill! 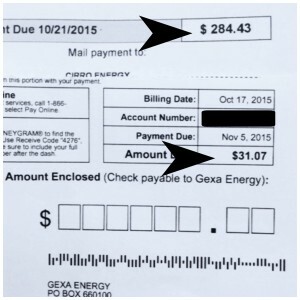 Almost 90% of Texans have been buying energy all wrong and overpaying. Grab your energy bill and click here to plug in the information and see if you are spending too much for electricity. 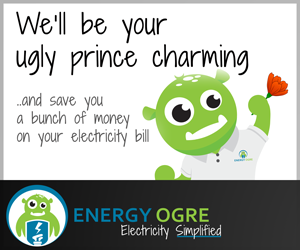 Energy Ogre is getting a 40-60% savings on average for electric customers all across Texas. That is a savings of $800-$2000 on average! They are NOT retail energy providers or working in conjunction with any of them. Instead they work for and on behalf of YOU, the consumer. Here is an example of one of my readers who saved BIG! What could you do with that extra money? Instead of trying to find the lowest rate for the longest time, Energy Ogre says customers should routinely be making changes, taking advantage of every great deal that comes along. Who has the time for that time of legwork? Not me, and that’s why Energy Ogre is here. The Ogre cuts your electric costs by finding the “sweet spot” between your consumption needs and the provider with the best bargain. 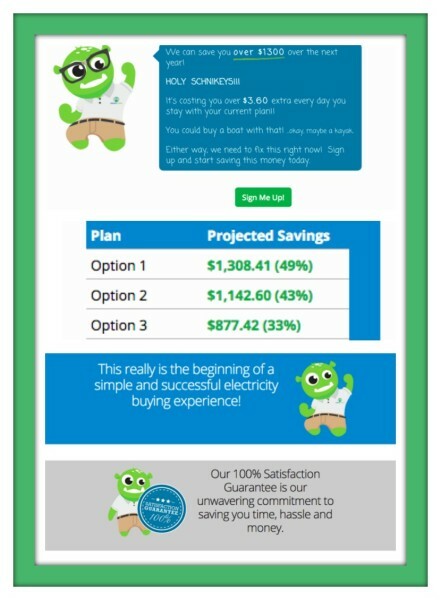 Energy Ogre has access to nearly every rate plan on the market and it updates every hour. Go here and see what the press in Texas are saying! For $10 every month, the Ogre constantly compares your personal consumption with the best offers for your electric needs and finds the one that mathematically results in the lowest cost to serve electricity to your home or business. And you don’t pay a dime if they can’t save you money! Energy Ogre basically becomes your administrative agent and they make changes on your behalf, often times putting you in a shorter term plan or opting for you to pay an early termination fee just to get on board with a much better rate than the contract you’re currently in. *You can choose the energy provider you want to go with, they just offer you the best plans. *Satisfaction is guaranteed, you don’t pay if you don’t save. It has been a dream of some in the industry to make a business like Energy Ogre happen for a long time, but the technology to accomplish this has only recently become available. It is practically impossible to do what we do without using highly automated systems and technology to match the best programs for an individual’s usage profile. And that’s how we’ve gotten here. For almost a decade, our team has developed technology that drives retail and wholesale electricity businesses. We’re essentially a technology business staffed and led by people who have a lengthy background and expertise in the electricity business, particularly in Texas. The exciting thing that’s different in our approach is that we are truly focused on the customer and being their advocate. Too often since deregulation started, Texans have not had access to the resources to help them make the wisest decisions in purchasing electricity.